We offer the most efficient carpet cleaning methods for thorough cleaning of natural or synthetic carpets materials, including steam carpet cleaning and dry carpet cleaning Streatham Common. 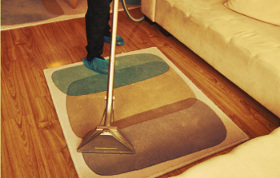 Each carpet cleaning treatment begins with hoovering and an examination of the carpet. The solutions are tried and the high traffic areas and the stains pre-treated. According to the carpet's type, either our steam carpet cleaners will use a hot water extraction machine to wash and rinse your carpet, or our dry carpet cleaners will carry out a more secure dry shampoo cleaning which uses no water. Better Cleaning Company offers a top quality and fully insured cleaning services performed by experienced, background checked and polite local carpet cleaners Streatham Common SW16. Our professional cleaning services company will have all carpet types cleaned efficiently and safely. We can deliver carpet repair and fibre protection for all our commercial and domestic customers at a fixed, affordable price. The removal of treatable stains is included in the price for the deep carpet cleaning. To have your carpet just like new, book expert carpet treatment right away! The result will absolutely impress you! As top carpet cleaning Streatham Common SW16 experts, we provide public holiday and weekend availability and a simple booking system to all local people and businesses. We are available , and the earlier ahead you make your reservation, the better our price offer will be. Estate agencies, landlords and regular clients too get special prices for our local cleaning services. We give up to 15% discounts for every additional service you order along with the carpet cleaning. Call now - 020 3746 3201!